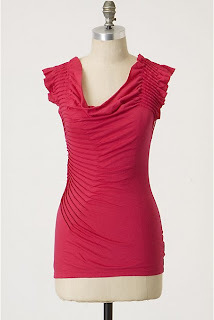 I visited Anthro to check out the last of the sale and the new arrivals. 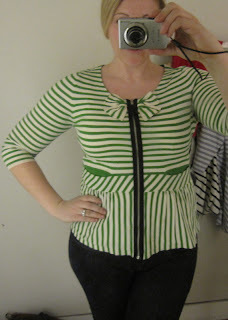 I left with an adorable top and major, major lust. 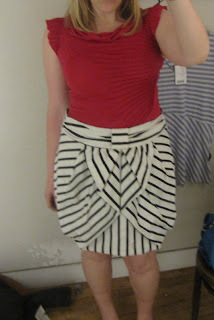 Such a cute skirt - the pattern specifically, unfortunately this fit is not for my hips and behind. Very cute on others. 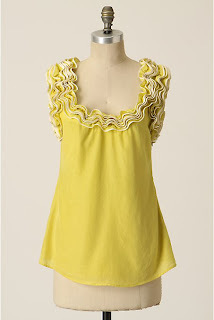 Would be so cute with a striped or polka dot top. 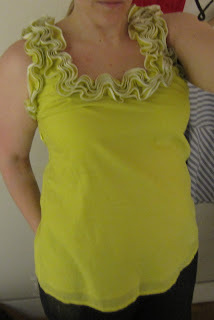 I liked this shirt a ton, but couldn't decide what color I needed/wanted - so am living w/o for now. 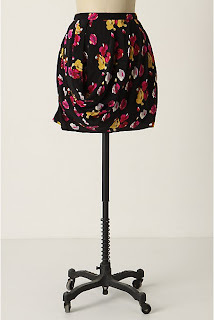 I love how they styled this skirt and sweater together - LOVE. I love love love and they didn't have my right size in the store. Do I get it?!?! 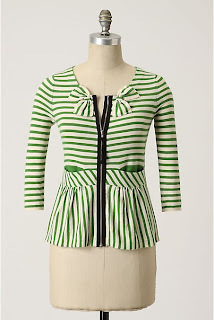 I love the stripes (a pattern here...) and would be so fun to play with and style. 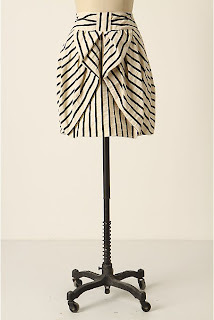 You lusting over anything at Anthro right now? Or get anything great lately?